Meanwhile, the SEC charged a hedge fund advisory firm and its execs with faking earnings. The SEC charged a hedge fund advisory firm and its execs with faking earnings. Among recent enforcement actions by the SEC were fraud charges against an Ohio-based investment advisory firm and its president for concealing a $700,000 shortfall in client assets; charges against a Toronto consultant and four associates in a reverse merger scheme involving China-based companies; and charges against a hedge fund advisory firm and two of its executives for falsified results, as well as an asset freeze to protect client assets. The SEC has filed fraud charges and obtained an asset freeze after Professional Investment Management (PIM), an Ohio-based investment advisory firm, and its president, Douglas Cowgill, hid a shortfall of $700,000 in client assets. According to the agency, Cowgill, who was also the firm’s chief compliance officer, went to great lengths to conceal the absence of the missing funds after the SEC found the shortfall in a money market account the firm managed. Account statements that the firm sent to its clients had said that it had $7.7 million in that particular money market account, but in actuality there was less than $7 million in the account. Cowgill manufactured a fake trade, which he later reversed, and even moved money from another account at a different financial institution to cover the gap—but that account was also held for clients, so it just moved the shortfall from one place to another. PIM manages approximately $120 million in assets for approximately 325 clients, a significant number of which are retirement plans. From 1978 till Sept. 30, 2013, PIM was registered with the SEC, but last September the firm pulled its registration. The SEC examined the firm in November after it learned that for four years straight PIM had failed to have client assets independently verified, as required by the Custody Rule, and had withdrawn its registration. The investigation found the shortfall, and in addition to filing charges, the SEC obtained an emergency freeze to protect client assets. Toronto-based consultant S. Paul Kelley and four associates were charged by the SEC with conducting illegal reverse merger schemes to bring a pair of China-based companies into the U.S. markets so they could manipulate trading and make millions. According to the agency, Kelley and three of the associates acquired controlling interests in two U.S. public shell companies so they could put together reverse mergers with China Auto Logistics Inc. and Guanwei Recycling Corp. They then hired stock promoter Shawn Becker of Overland Park, Kansas, and others to tout the two companies’ unregistered stock to investors. The schemes involving China Auto and Guanwei Recycling occurred in 2008 and 2009. Becker, Roger Lockhart of Holiday Island, Ark., and George Tazbaz of Oakville, Ontario orchestrated manipulative trading in a third China-based issuer, Kandi Technologies, in 2009 and 2010. The SEC said that Kelley, Tazbaz, Lockhart and Robert Agriogianis of Florham Park, N.J., reached secret oral agreements with management at China Auto and Guanwei Recycling in which they covered all of the costs to take the companies public in the U.S. in exchange for approximately 30% to 40% of the resulting stock. Kelley and his associates then acquired controlling interests in the two U.S. public shell companies that they used to conduct the reverse mergers with China Auto and Guanwei. They hid their controlling interest in the public shell companies and the reverse merger transactions by having others create at least nine Hong Kong-based companies to hold their shares. Nevertheless, the SEC, with assistance from the Ontario Securities Commission, was able to obtain documents and testimony concerning the scheme. Kelley and his associates manipulated trading in various ways so that they could drive up the price and volume of the two stocks, then dumped their shares at a profit. Kelley, Lockhart and Agriogianis have agreed to settle the SEC’s charges. Kelley agreed to pay more than $6 million and will be barred from the securities industry as well as participation in any penny stock offering. Lockhart agreed to pay more than $3 million and Agriogianis entered into a cooperation agreement. The settlements are subject to court approval, and the SEC’s litigation continues against Becker and Tazbaz. A hedge fund advisory firm and two of its executives have been charged by the SEC with distributing falsified performance results on two hedge funds they managed to prospective investors. The agency has also obtained an emergency asset freeze to protect client funds. According to the SEC, Aphelion serves as the investment advisor and general partner for two unregistered hedge funds: Aphelion US Fund LP and Aphelion Offshore Fund Ltd. Vineet Kalucha, Aphelion Fund Management’s chief investment officer, has been managing investor funds since 2009 using a proprietary investment model he developed himself. During a 15-month period, an outside auditor’s report showed that an account Kalucha managed chalked up an investment loss of more than 3% during a 15-month period. However, instead of revealing the loss, Kalucha fraudulently altered the audit firm’s report to show a gain of 30% over an 18-month period. When the firm’s chief financial officer George Palathinkal found out about the alteration, the SEC claims he did nothing to correct it. Instead, the falsified report showing the phony gain was distributed to prospective investors. In addition to distributing the altered report, Aphelion and Kalucha also misled investors about Aphelion’s assets under management. While Kalucha told investors at various times during 2013 that Aphielion had $15 million or more in assets under management, the firm never had more than $5 million in assets under management at any point during that year. Another misrepresentation to investors was Kalucha’s litigation history. Under the legal proceedings section in a due diligence questionnaire included in Aphelion’s marketing materials, Kalucha answered “None” and added a lengthy, materially misleading explanation of a civil proceeding in which he was involved. The proceeding, which he did not identify by name, was a case against him by the U.S. Department of Labor for breaching fiduciary duties. Kalucha and Aphelion are prohibited by a consent judgment in the case from acting as investment advisors to many types of common retirement plans, which often invest in hedge funds. Kalucha, who is the majority owner and managing partner of the firm in addition to CIO, also is charged with using investor proceeds for his personal expenses. Aphelion and Kalucha raised $1.5 million in investments for Aphelion from 2013 to March 2014 by claiming to investors that the money would be used for Aphelion’s operating expenses. Kalucha actually used more than 40% of the 2013 funds to pay for such things as settlement of a foreclosure action involving his personal residence, settlement of a breach of contract action filed against him in his personal capacity, down payment on a luxury BMW sedan and payment for tax and accounting services for his personal finances. 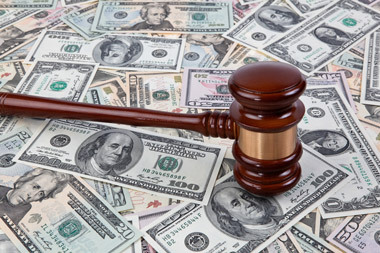 In addition to the asset freeze, U.S. District Court Judge Jed Rakoff issued a temporary restraining order and temporarily prohibited the defendants from soliciting new investors or additional investments from existing investors. Check out FINRA, SEC Enforcement: 6 Charged With Insider Trading on eBay Acquisition on ThinkAdvisor.